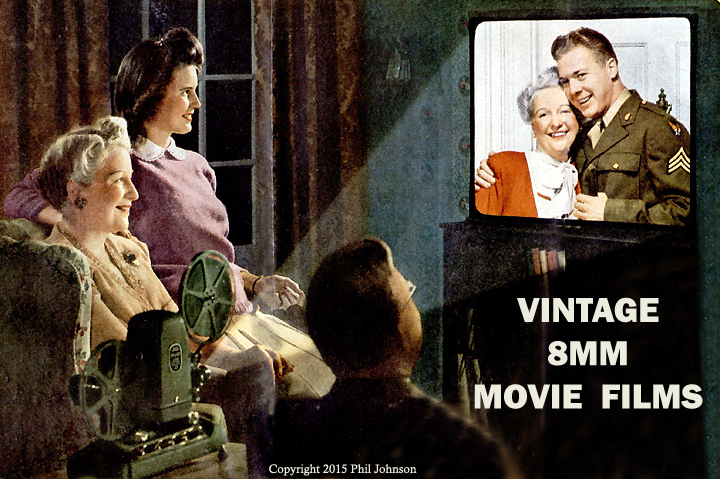 Standard / Regular 8 mm Movie Projectors Only. 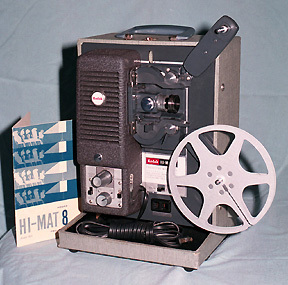 8mm film was introduced in 1932 as an amateur format based on the 16mm format. It is one half as high and wide as the 16mm format. It features sprocket holes on one side of the frame. 8mm camera film is still being manufactured on a limited basis. 8mm commercial subjects like the ones listed on these pages are no longer being made. The links above and below will take you to lists of standard 8mm silent and sound films that were available on the home movie market from the 1930's to the 1960's by companies like Castle Films, Official Films, Hollywood Films, Pictoreels, Regent, Blackhawk Films, Ken Films, Associated Artists Productions, Americom, Atlas, Carnival and many others. There are many pages and lots of images.